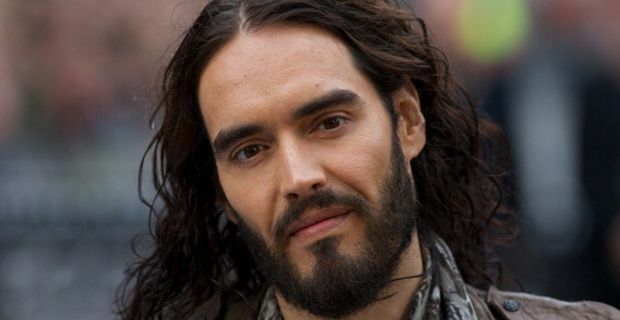 In an all too rare hijack of comfortably numb media ‘reductio ad blandum’, Russell Brand has taken US television by storm. Appearing on MSNBC’s breakfast show, ‘Morning Joe’ with an anchor who rather rudely claimed never to have heard of him but had been informed (with a hint of sarcasm) that he was a ‘big deal’, he proceeded to bamboozle her and her two sidekicks into on air shell-shock. Asked casually about his upcoming comedy tour, he immediately unsettled them by stating that his show, ‘The Messiah Complex’ explores how Malcolm X, Gandhi, Che Guevara and Jesus Christ “are significant culturally and how icons are appropriated and used to designate consciousness and meaning….they’re all people that died for a cause, they’re all people whose icons are used to designate meaning, perhaps not in the manner in which they intended.” US religious right anyone? This was not at all the sort of uber light, plastic, scripted stuff they are used to on US daytime TV. As the chat catapulted towards cringe, Mika Brzezinski grew increasingly twitchy and her two co-hosts’ feeble, wooden attempts to engage started to sound increasingly offensive as they referred to Brand in the third person. As the conversation grew ever more painful, the presenters made the mistake of discussing his outfit and his accent. It was like watching a car crash involving formulaic faux banter between the inanely conventional, and overwhelmingly charged, subversive intellect. “What do you think that gesture means, the way you’re touching that bottle? What’s the subtext of that? You need to lose that ring Mika, ‘cause it don’t meaning nothing to you. The cherry on the cake of class was that Brand remained unruffled throughout – was neither rude, nor overly talkative. He behaved like a normal human being and they self destructed around him, as if they had no experience of real people with wit and intellect.